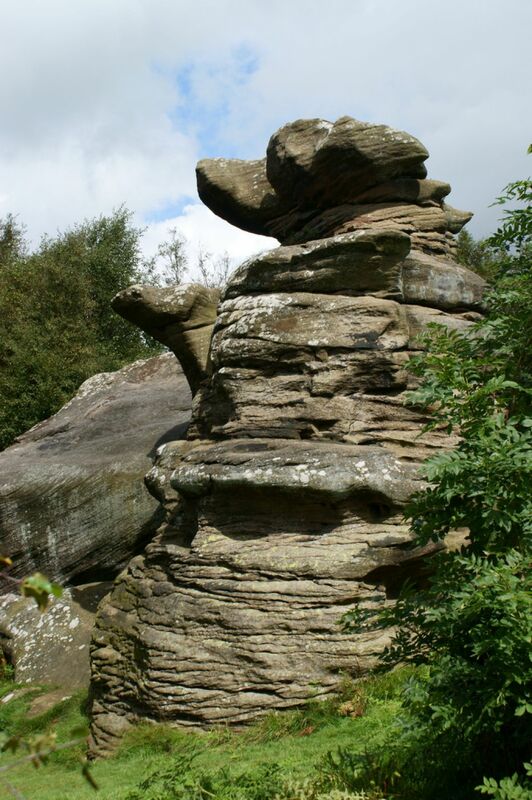 The rock formations at Brimham in Nidderdale are scattered over some 50 acres on Brimham Moor. 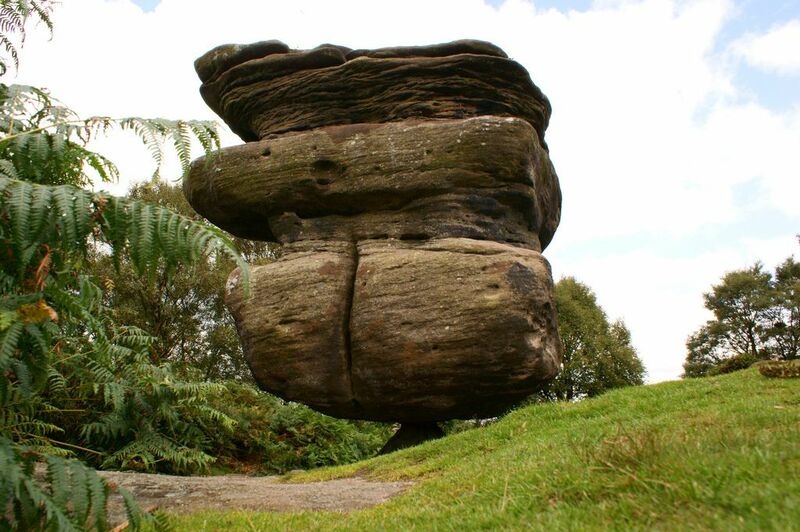 It was shaped by tens of thousands of years of erosion. 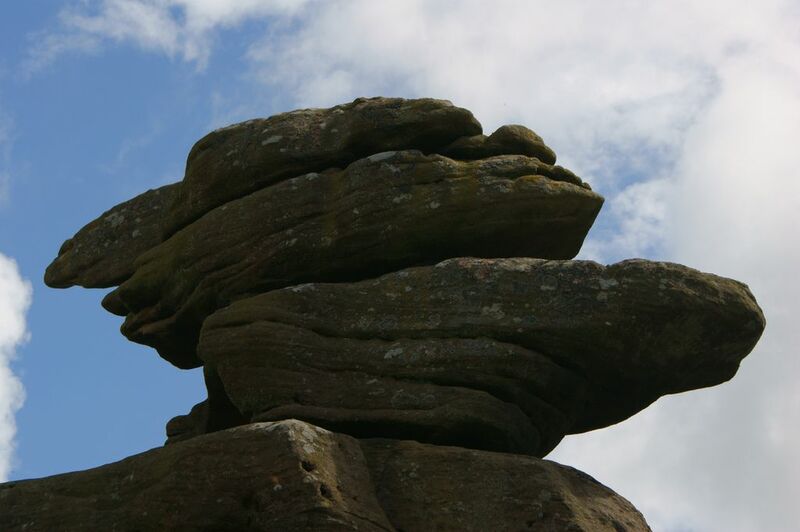 The most impressive is Idol Rock, a 200-ton monolith balancing on a tiny pyramidal base. 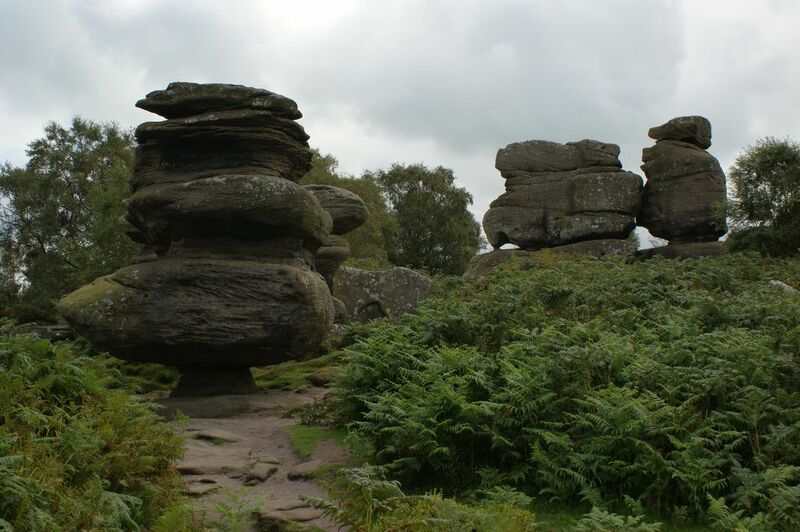 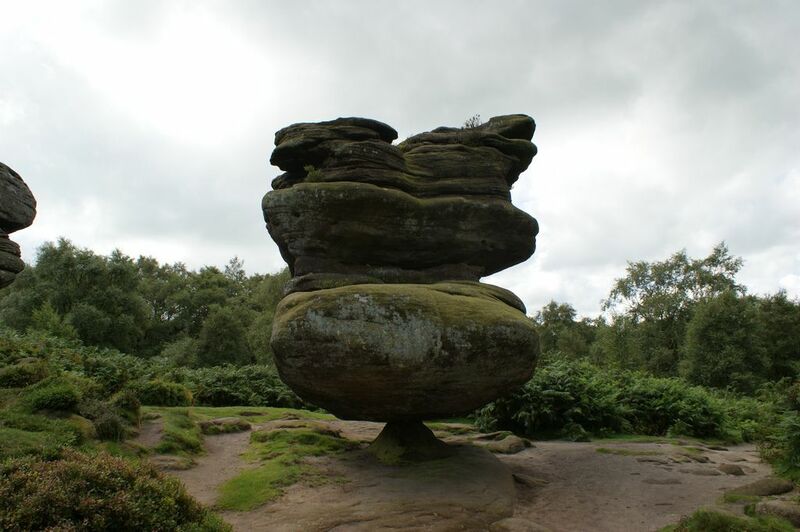 The whole of Brimham Moor is considered one of the United Kingdom’s strangest environments.